Bucktons Cockatiel & Lovebird Mix - 20kg. 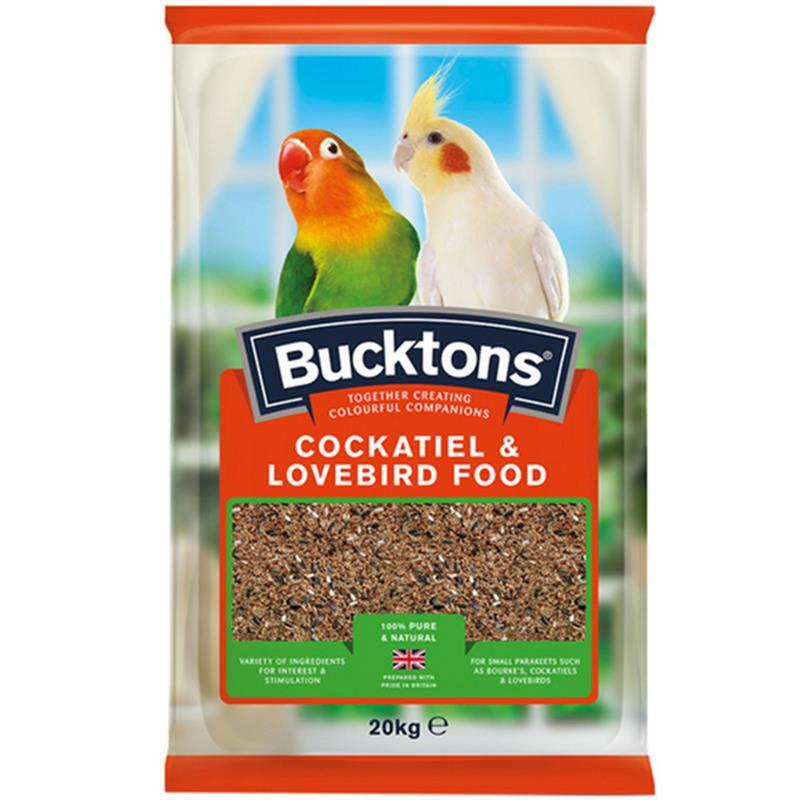 Bucktons cockatiel & lovebird mix contains a selection of the finest quality small seeds with high oil content for improved condition and formulated for easier digestion. Ingredients: yellow millet, whole oats, canaryseed, naked oats, small dark striped sunflower seeds, red millet, safflower seed, hempseed, Japanese millet, panicum millet, buckwheat, linseed, nyjer seed and oil.